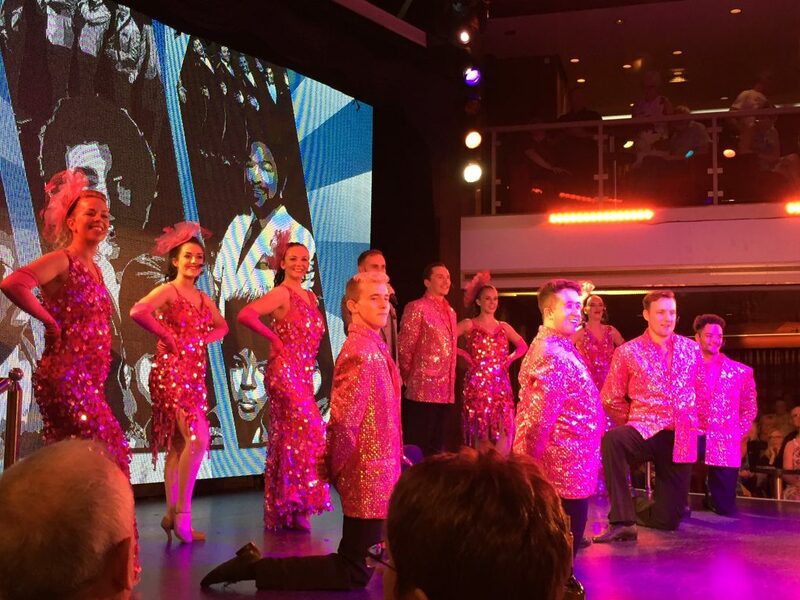 We have just got back from our first cruise and, I have to say, we absolutely loved it! We spent a week on a Thomson cruise ship visiting six ports along the Adriatic, which proved to be a great way of visiting a number of different places on the same holiday. Having not cruised before, I thought that, even if I didn’t particularly enjoy the ship, it would still be worth it to visit six new destinations that I had not been to before. And we weren’t disappointed! If you are considering going on a cruise, I hope that the tips and information below will help you to decide if a cruise is for you, and to make the most of your holiday. Firstly, the ship.We were on one of the smaller cruise ships which accommodated around 1,200 passengers and had a crew of around 500, with a choice of restaurants, bars and entertainment. Our package was full board which covered all food at any time of day, tea, coffee, water and fruit juice at breakfast.There was a self service buffet restaurant which extended out on to the deck or a more formal restaurant with friendly waiter service as well as a small (or intimate) a la carte restaurant for which reservations were required and which charged an additional supplement. Drinks Packages: All inclusive drinks packages can be added for an additional cost which seems to depend on how far in advance you are booking your holiday. We weighed up the benefits of the package with the relatively modest amount (honest!) that we expected to drink while we were away and decided against paying the additional £360 for the week that the all inclusive drinks package would have cost. The bar prices were similar to what you would expect to pay in the UK so, for us, it was not worth paying the extra. We would have needed to have drunk around five glasses of wine a day each to have broken even.Most ships are cashless so you will be asked to give details of a credit or debit card to which things like drinks, excursions, souvenir photos, shopping and wifi will be charged. Formal Evening: Our second evening was a chance to dress up for dinner. To be honest, after a couple of cocktails and a photo with the captain, it was a normal evening meal in the waiter service restaurant and a chance to get to know some of the other passengers. Don’t be put off if the thought of dressing in formal evening wear leaves you cold, as some guests dressed more formally than others and there was an even mixture of smart, dark suits and dinner jackets amongst the men and long or short dresses for the ladies. If you don’t want to glam up for the evening, the self service, buffet style restaurant is still available.For me though, it was a good excuse to dig out an under-used dinner suit! What to pack: Thomson cruises might be a bit less formal than some other companies. Shorts and T-shirts were fine during the day, especially as we were ashore most of the time. In the evenings, smart casual was the order of the day – I wore chinos or dark trousers with an open neck shirt, dresses or trousers for the ladies. When packing, I put my dinner suit in a thin plastic suit carrier, folded it once and packed it in the middle of our biggest case. Miraculously, it came out uncreased when we unpacked the following day. Cabins: Cabins vary in price, depending on which deck you are on and whether you want an outside cabin with a port hole or a balcony. Ours was one of the cheaper options but still big enough, comfortable and with a choice of single beds or a double. Cabins all have an ensuite bathroom with a shower. Ours was small but functional which is only to be expected given the limited space available. Plug sockets were European and American so an adaptor is essential, preferably one of each. The number of sockets is also limited so it is a good idea to take a strip plug or, as we wanted to be able to charge phones and Kindles at the same time, we took a USB adaptor plug.There are plenty available but we took a GOSCIEN worldwide travel adaptor with four USB ports and interchangeable adaptors for US and European sockets. I help this helps to give a flavour of a cruise holiday, even without going in to any detail about the ports we visited. If you haven’t thought about a cruise before, give it a try. I can thoroughly recommend it! Does your travel insurance cover you to go on a Cruise? Go Walkabout travel insurance can cover cover for cruises under either an Annual Multi Trip or single trip policy. Please complete a quote request form and we will get back to you with an emailed quote, or give us a ring on 01424 223964. We look forwards to hearing from you!